Move over Mizoguchi. Off with you Ozu. And a respectful kiss-off to Kurosawa San – the cinema of the land of the rising sun has now entered an entirely new phase. After having stepped gingerly out of the shadow of the aforesaid giants in the 80s, the new millennium sees Japanese films exploring hitherto uncharted (at least in this fashion) territory. Somewhat like the mysterious, enigmatic and decidedly secretive Japanese society itself, the films coming forth from there are unlike anything that most other mainstream cinemas, especially Hollywood, are producing. Like, say, the French nouvelle vague in the 50s and 60s, the new Japanese cinema bears its own strange, individualistic stamp. Though not part of a formalised movement, the films do share certain thematic concerns, often depicted through the same narrative element: violence. Which is not to say that Japanese cinema has traditionally shied away from the country’s violent past. On the contrary, Japan’s turbulent history and the society’s difficult relationship with that history has been the source of some truly great cinema. Akira Kurosawa in particular found boundless inspiration in the blood-soaked pages of Japan’s past. From the soul-searching multiple-perspective narrative of Rashomon, to the stark, haunting tone of Throne of Blood, to the lyrical violence depicted in the King Lear adaptation Ran, Kurosawa cast a long, unflinching look into his people’s history, unmatched in its poeticism. But the way in which the new Japanese cinema approaches and explores the nature (and cause) of violence is a wholly new animal. While Kurosawa looked to the past, the new cinema’s perspective is situated very much in the present. Under observation here is a mechanised violence and how it fits in squarely with a fiercely conservative and traditional society struggling to come to terms with its industrialised modernisation. This after all is the country that gave us the Chia Pet. The last five years have seen a number of films released that subscribe to this new aesthetic, among them Audition, Ichi the Killer, Versus, Suicide Club and of course the rash of atmospheric horror films that have achieved cult status worldwide: Ringu, Ju-On, Dark Water etc. But one film in particular stands out from the rest of the pack in its intelligent blending of cinematic violence with social commentary and dark humour, and which, thanks to piracy, is finally available for viewing on DVD in the local market: 2000’s notorious Battle Royale (Batoru Rowaiaru). Likened by many to Stanley Kubrick’s A Clockwork Orange, veteran filmmaker Kinji Fukasaku’s Battle Royale (adapted from the novel by Koushun Takami) focuses on Japan’s powerful youth culture at odds with a hostile and unnerved older generation. Employing scenes of disturbing, brutal albeit non-gratuitous violence, the film is a quasi-surrealistic treatise on the notion of ‘disconnectedness’ that apparently plagues Japanese society. The film opens with an audacious premise: frustrated by an increasingly undisciplined and unruly student population, and with juvenile delinquency on the rise, the government passes the Millennium Educational Reform Act, a.k.a. the BR act. The BR act renders it legal for a student class chosen by lottery to be kidnapped and taken to an island in the middle of nowhere that is policed by armed troops. Once on the island, the students are informed that they are now unwilling participants in Battle Royale, a three-day, no rules, fight to the death. All the participants are fitted with electronic collars which track their movements and will explode and kill them if they don’t participate or attempt to hole up in one spot for the duration of the ‘tournament’. There can be only one survivor, who will then be allowed to re-enter society. If at the end of the three days there is more than one survivor, their collars will auto-destruct and there will be no winner. What is at once shocking about BR is not the utter coldness with which the group of schoolchildren are informed of their situation by the authority figure (played with malevolent glee by iconic actor Takeshi Kitano), but how swiftly the battle for survival turns into a deadly game for some of them, reminiscent of Golding’s ‘The Lord of the Flies’. Members of the same clique betray their superficial bonds and turn on their friends; bullied, put-upon kids feel the power that a weapon grants them, and virtually no one can be trusted. In this regard, two of the most intriguing characters have to be Mitsuko and Kiriyama. The former (played to icy perfection by Kou Shibasaki) is the popular girl who quickly learns to relish the hunt and becomes a vicious predator, turning on friends and foe alike. The latter (Masanobu Ando) is a truly frightening creation: an unbridled psychopath who mows down his classmates with a chilling air of ecstasy. This crazed killer defies the one essential element of the cinematic stereotype of the bad-boy that he otherwise embodies: he is totally beyond redemption, his disregard – nay, disdain – for human life is at once shocking and thought provoking. Indeed this coterie of mixed up, messed up kids is the heart of BR, and their relationships are portrayed with incredible sensitivity. There are no casual throwaways here. Even amid all the gunfire and knife play, you never lose sight of the sense of desperation that prevails. Some of the kids, not having the stomach to kill or to bear the sheer terror of being hunted, commit suicide. Others group up only to realise that the need to live outweighs notions of compassion and loyalty, and the merest hint of suspicion can set off a lethal chain of events. Nor do the kids step out of character to become annoying philosophy-spouting mini-adults. Note the disarming scene where two of the girls, even knowing they have been scoped out for assassination by Mitsuko, still find the heart and time to argue about a crush. In the hands of a Hollywood hack BR might have turned into a mindless Urban Legends-like slasher flick, but it is never so clinical (or cynical) as to make its characters expendable, even the minor ones. We care about leading man-boy Nanahara (Tatsuya Fujiwara), an orphan haunted by his father’s suicide, and feel his quiet passion for Noriko (Aki Maeda) – the two of them, especially, go through sweeping changes through the course of the film. We are touched by Kawada (Taro Yamamoto), a former BR ‘winner’ who has returned to defy the rules and save some lives. We root for the techno-nerd team who are working together to find a way to get everyone off the island in one piece. And when things go horribly awry at the lighthouse over a terrible misunderstanding between a group of best friends, it makes for a genuinely heartrending battle. BR never uses its inhabitants as mere cannon fodder to ratchet up the body count. And that is why it is never less than poignant. While BR is equal parts disturbing and viscerally thrilling (be warned, it is not for the faint-hearted) as well as scathingly satirical, it does have a timely and serious ‘message’ at its centre. It warns its youth to be responsible with its freedom and to stop being rebels without a cause, but it is also an indictment of the old guard which seeks to impose on the youth traditions and ideals which are no longer relevant or realistic. To the film’s credit, it sets about delivering this message in a thankfully un-message-like and non-preachy manner. Unlike many youth films from western cinema, it dares to speak to its young audience in their own idiom without talking down to them and without attempting to ‘internationalise’ the style to fit in with a global audience. Its very ‘orientalness’ is one of its major strengths. Predictably, Battle Royale opened with a bang at the Japanese box-office, finding favour with its target audience of young adults. However, it was eventually removed from theatres by concerned parents groups and defenders of public decency. 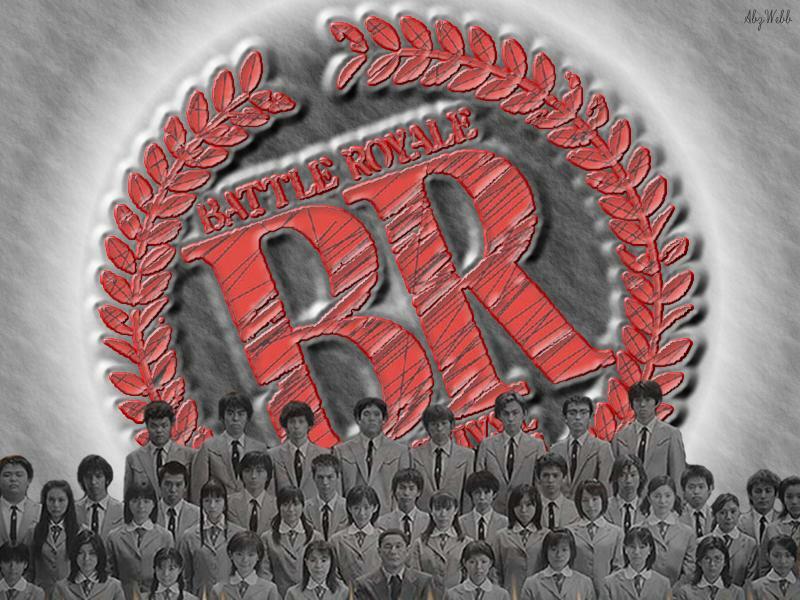 Ironic, considering that, the violence and gore notwithstanding (which is never meant to be read as ‘cool’ or ‘fun’), Battle Royale is no mere exploitation movie, but ultimately a film about the desperate need to end the generational tug-of-war that can yield no result except to propagate a societal status quo.